As some of you know us my now, we are Kent & Sharon. We travel somewhere warm the last week of January every year for our anniversary. We got married on the beach in St. Lucia 2003, I promised her we would go somewhere warm every year. This was our 11th trip. The rest of the trips can be found over on my vacation page. 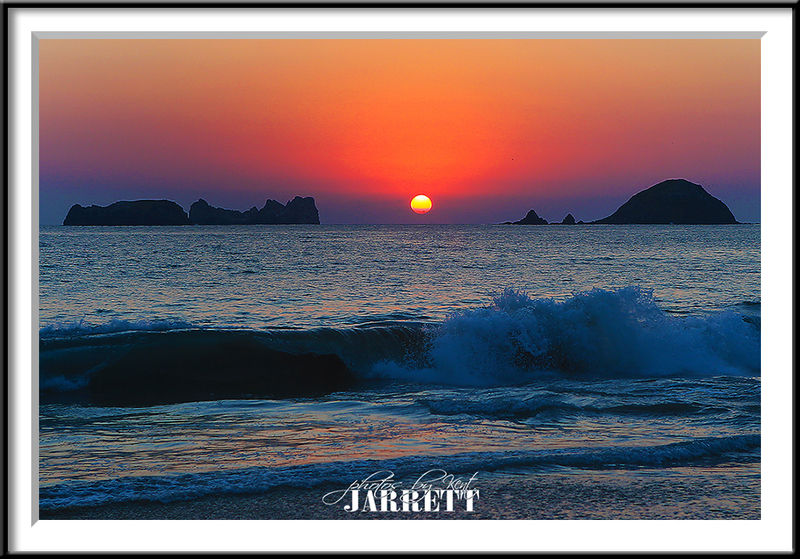 We traveled to the Sunscape Dorado Pacifico Ixtapa Mexico from 1/25/14 – 2/1/14. We have traveled to Mexico on our last two trips to Huatulco Mexico staying at Secrets and Dreams. Traveling the last week of January I had been interested in Ixtapa due to price point but worried about temperatures not being warm enough. This year I rolled the dice and the weather was perfect. 88 was the lowest and 93 was the highest. 72 to 73 every evening. PERFECT temperatures! This was one of the first applevacation trips where there was a mess up. 86 people from our plane was going to Sunscape. They told all 86 people to get on the same bus, even though there were 2 buses and plenty of room. They usually check off your name as you board the bus. Once on the bus and we were rolling, 25 minute ride from the airport on a nice bus. Greeted by an attendant with a silver tray of cold facial cloths and fruity cocktails followed by a tray of chocolate chip cookies. We arrived around 3:30PM. Since this wasn’t my first rodeo, I identified our bags for the bell boys while Sharon got in line to check in. We were the second couple to check in. Our room was ready, and the bell boys had our luggage in our room in 10 minutes. We freshened up, headed downstairs to get a drink and bite to eat, people were still checking in. GREAT water pressure in the shower. Excellent room safe … digital combo and included no extra charge like some hotels. Was really nice and very walkable. Our second favorite beach of all trips. It is1.8 miles long, flat and great soft walkable sand. You can get sunset photos every night and three of the restaurants can view sunsets. The property did a really nice job of changing things up. One night a Mexican cookout buffet in the ballroom with a dinner and a show. The food was good and very consistent with other AMstar properties we have been too. They only disappointment in the food category was the Italian specialty restaurant. There are no limitations on how often you can go to any of the specialty restaurants. No reservations needed! We tried all the specialty restaurants; the Oceania restaurant was by far the best, followed by Gohan. We ate fish almost every meal. Highly recommend the coconut ice cream. If Sunscape are reading this, do away with not taking reservations. People had to line up 30 – 45 minutes early to get in when restaurants open. Open them earlier and allow reservations. Less stress on your travlers. I always travel with at least 100 USD ones, but wasn’t really needed this time. We did end up tipping the waitresses and maids and received outstanding service! By the end of the week they all knew my drink of choice and almost fought over each other to wait on me. Chairs and shade could be a problem. People head down the claim their pool chairs around 6:30, they hand out the towels at 7:00, then a guy with a clip boards comes by and takes your room number then you are free to come and go. Not a huge pain, I was able to get choice chairs every morning, just a good thing bed was hard and I was always up by 6:00. We had read the reports about this, so we took our own beach towels and clips, which made it really easy for me to claim chairs before the chaos. No rafts, but we took a 1.99 blow up and the pool entertainment team blew it up for me. was included and free. Not as fast at home but good enough. I was able to use my MacBookPro, iPad2, and iPhone everywhere on the property. Photo uploads were slow. We had been to the time share last 3 or 4 years, I like messing with them. I was in there for 90 minutes I got 270 USD out of them. 100 in resort money, we used it for a tour, and 170 cash. Used it for a lobster dinner across street and pocketed the rest. This was the first time Sharon didn’t use the Spa. The Spa and Gym both looked nice. However, if you walk north on the beach, right out of the hotel. There is a public entrances the beach, 10 minute walk. There are massage huts. Hut #4, Carla, will do a 60 minute deep tissue for $15 USD. Sharon said it was better than any $120 dollar she has had anywhere else. She ended up getting 2. We rode the public bus to Zihuatenejo for 9 pesos each. We got off at Elcktra and walked down to Cino De Mayo Ave to the fish market and local shops. Went smooth and felt safe. On the way back they were setting up a local circus and I got some photos of camels, zebras and tigers. I got 13.4 pesos on the dollar at the bank next door to the hotel, but mostly got pesos at the hotel desk for 12.70. Every ride on the elevator was a little bit of a gamble. We never got stuck or had any problems but we heard other horror stories. They are due to upgrade. AM Resorts are trying and have been pumping in some money. They property is on the smaller size, but they do a good job of fitting a lot into that space. They never open all restaurants, on any one night mostly due to they share sitting space. You come in one entrance it is Blue Water, you come in the other side the next night, different name and menu. Great value and one of our favorite beaches. Will go back to Ixtapa, but probably not this property until they give it some more love. This entry was posted in Vacations and tagged vacation by Kent Jarrett. Bookmark the permalink.